The 1950’s seemed to be a decade hiding the realism of everyday life by highlighting the prosperity of a post-war era and the reachable “American Dream” that was sought by those living in this decade. 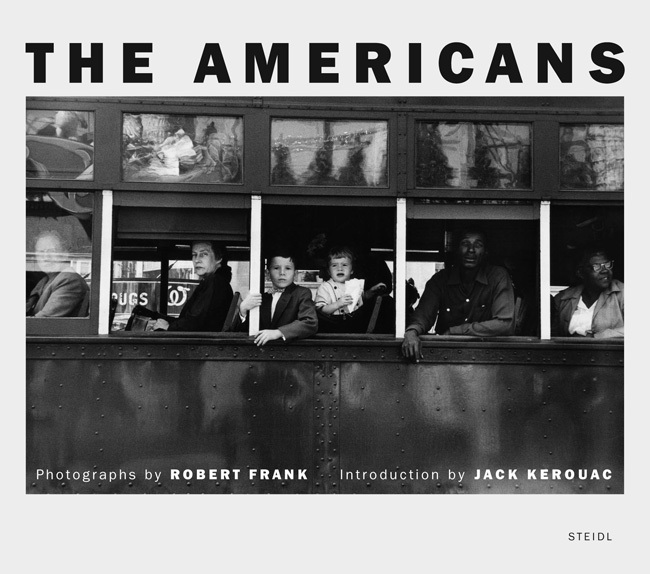 Because no one wanted to confront the realities of the Cold War, the Jim Crow ways lending to racial divisions, and the generational differences between the new breed of teens and their elders, Robert Frank’s The Americans, was not well received. Being an immigrant, Frank saw America the way it really was and did not attempt to glamorize what he saw. He shot the real Americans in their everyday lives and captured the heart and soul of that era in American life. 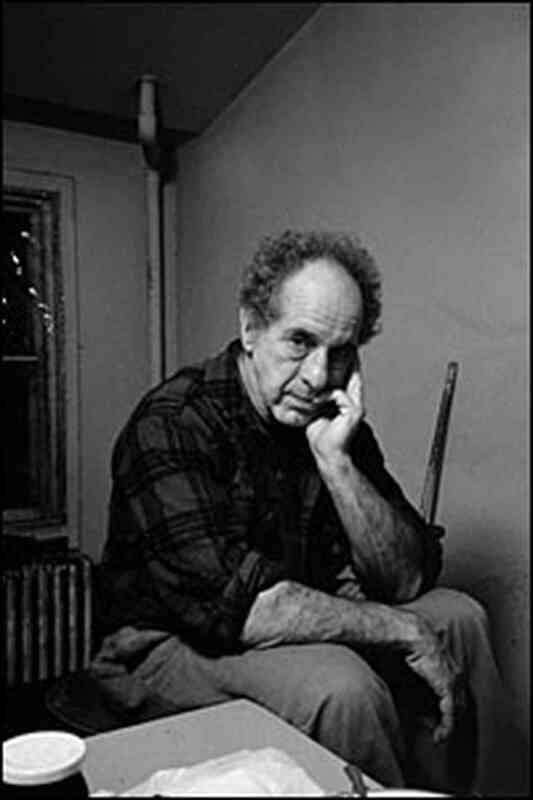 It is important to note that Frank's subjects are not posed and no one is “smiling for the camera.” Frank captured the faces of the American public within their everyday lives showcasing real expressions of real people living in 1950’s America. Frank’s photos highlight everything from prosperity to poverty, multitudes to desolation, new life to finality of death, and happiness to sorrow which all occur during our lifetimes making his photos easy for the viewers to understand and relate. Furthermore, Frank was able to emphasize some of the issues of his era, especially segregation, patriotism, and generational gaps. For example, the New Orleans photo on the cover shows a trolley car obviously segregated with white riders in the front and black riders in the back. 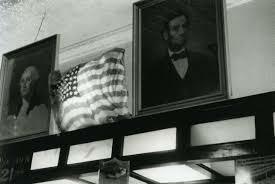 However, Frank also shows blacks and whites working side by side in an assembly line photo taken in Detroit as well as a black nurse holding a white baby in Charleston, South Carolina with undertones of hope for equality further highlighted by the photo taken in Detroit bar of Presidents Lincoln and Washington bookending an American flag. 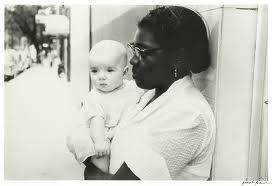 In addition, the same New Orleans trolley car photo showing children riding directly in front of an older black man and directly behind an older white woman in addition to the Charleston photo of the black nurse and the white baby could be interpreted to show hope for a better future by emphasizing the children. A photo of a baby next to a jukebox on an empty dance floor in Buford, South Carolina, indicates optimism for a future of fun and excitement. A further example is in a Georgetown, South Carolina photo where three generations are sitting together on a couch, a small child, a woman who appears to be his mother, and an older woman who appears to be his grandmother, who is holding a cigarette. Although this may not have been Frank’s intention, because the two younger generations are not smoking, this photo indicates that the future is brighter for the newer generations who are not partaking in the health risks of the older generation. There is also a photo of teenagers necking in a public park in Ann Arbor, Michigan, showcasing the teens in love indicating hope for future generations. American patriotism seems to be a universal theme throughout Frank’s photos as well. Many of the photos in the book contain an American flag which shows the high level of patriotism felt by Americans in the era after defeating Germany and Japan in the Second World War and at the beginning of the Cold War with the rising Soviet Union as a communist superpower. Flags are hung on an apartment building during a parade in Hoboken, on the wall in a Navy Recruiting Station in Butte, Montana, hanging outdoors during a Fourth of July celebration in Jay, New York, on the wall in the Detroit bar, hanging from the building in a political rally in Chicago, and there are star lights in the background of a club car headed to Washington DC. The most important theme within Frank’s photos is that of “Americans.” Frank photographed people from different cultures, including blacks, Hispanics, Jews, and whites; celebrating different religious and civil ceremonies from funerals to weddings. He included biker groups, prostitutes, celebrities, high-class socialites, rural farmlands, cowboys, soldiers, teenagers, politicians, families, senior citizens, children, gamblers, and travelers among others within the photos. This variety of people from different backgrounds living and socializing in different settings is truly American in that it is a blend of all different types of people living together as one nation.